Many today's aspects were already spoken about in the reviews SiS 735, VIA Apollo KT266 and VIA P4X266 coupled with a new chipset Intel i845 (Brookdale). 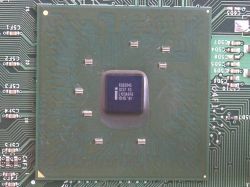 Besides, the Pentium 4 1.7 GHz was examined in the separate review. 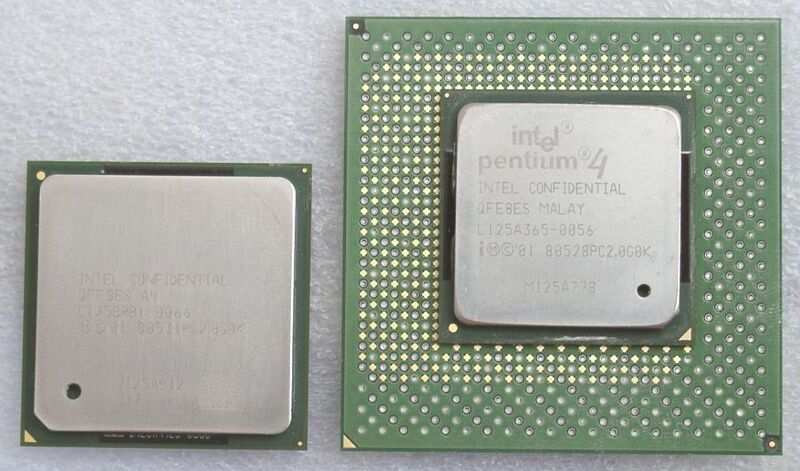 Today these platforms will serve for Pentium 4 2 GHz "Willamette" (Socket 423) and for Pentium 4 2 GHz "Willamette" (Socket 478). Although the core is the same - Willamate, raising of frequencies of these processors is the most significant tool of Intel. Now let me digress a bit. What kind of competition are Intel and AMD involved in? What are their goals and means? In the next part of the review we will try to analyze the situation. 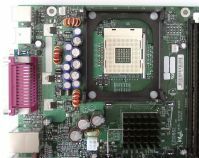 The further development of the x86 platform and positions of the companies dealing with it depend on what the processor wars in the x86 platform camp will result in. The confrontation of the Pentium 4 and Athlon may be considered in several aspects. 1. Frequency against enhanced architecture. At the expense of a shorter pipeline the Athlon takes the "chaotic" code with its great number of conditional jumps much easier. The Pentium 4 ignores such a way of the performance boost. The utmost attention is paid to frequency. Both ways are equally good. 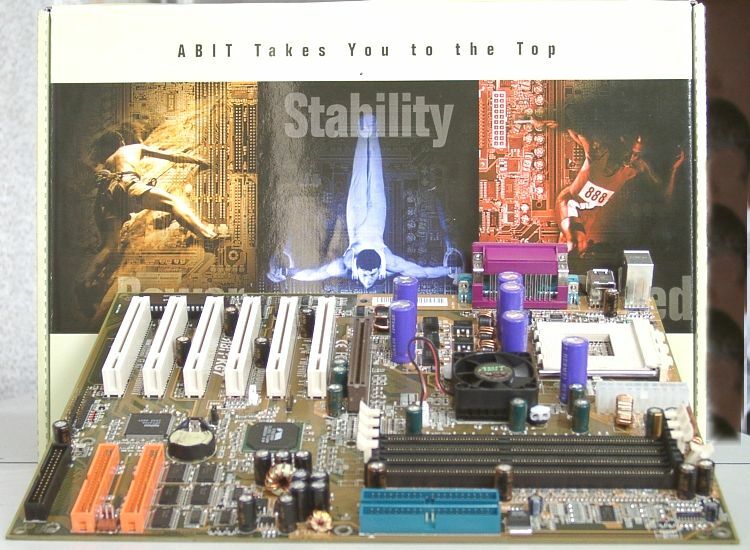 But the Pentium 4 must always have a higher frequency to win from the Athlon. Well, it outscores the latter in frequency, but the gap must be very large. Today the Intel's child is in the shaky position, sometimes even yielding to the Athlon (remember the struggle of Pentium 4 1.7 GHz and Athlon 1.4 GHz?). 2. RDRAM against DDR SDRAM. If you remember the review of VIA P4X266 you might say that this aspect is not topical any more. But the matter is that the Pentium 4 and RDRAM excellently suit each other! The net bandwidth of the P4's bus is equivalent exactly to 400 MHz, and not to 266 or 532. Why? Because the CPU was specially designed for PC800 RDRAM. All modern types of DDR SDRAM (except the entirely crushed PC1600 200 MHz DDR) will work with the Pentium 4 in an asynchronous mode. And asynchronism, as you know, is the worst enemy of productivity. 3. Frequency against technology improvements. The fab process of the Athlon "Thunderbird" is still 0.18-micron. The Pentium 4 "Willamate" is still 0.18-micron too. Pentium III "Tualatin" have transferred to the 0.13-micron technology. Now we can see at the horizone line new Pentium 4 (with "Northwood" core), wich will be produced at 0.13-micron process and new Celeron, wich willbe use 0.13-micron too. The Athlon "Palomino" (Athlon 4, Athlon MP) is based on the 0.18-micron process but it has copper conductors. AMD tries to squeeze out the old process completely, while Intel just turns to the new technology. Well, the company has the best production facilities in the world. 4. Additional instruction sets. 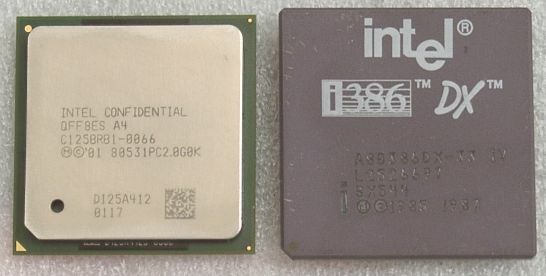 The first Intel's set was MMX, and now the company is moving up in this sphere - the Pentium III was coupled with SSE, the Pentium 4 came with SSE2. A release of the first AMD's set 3DNow! was an attempt to enter this market as well. But multimedia instructions from Intel are more popular today. AMD has included a partial support of the SSE into the 3DNow! Professional and a complete support of the SSE2 into the next generation processor it is currently developing. 6. Price wars. After the failure of the first samples of Pentium 4 "Willamette" which horrified users with the incredible prices both for the processors and for the finished systems Intel is not going to make such mistakes any more. The RDRAM is still more expensive than PC133 or PC2100 DDR, being at the same time the only memory type for the Pentium 4. And while Intel can't do anything about the memory, it keeps on reducing prices of the Pentium 4. With the upcoming release of the 0.13-micron Nothwood they will be falling down even faster. 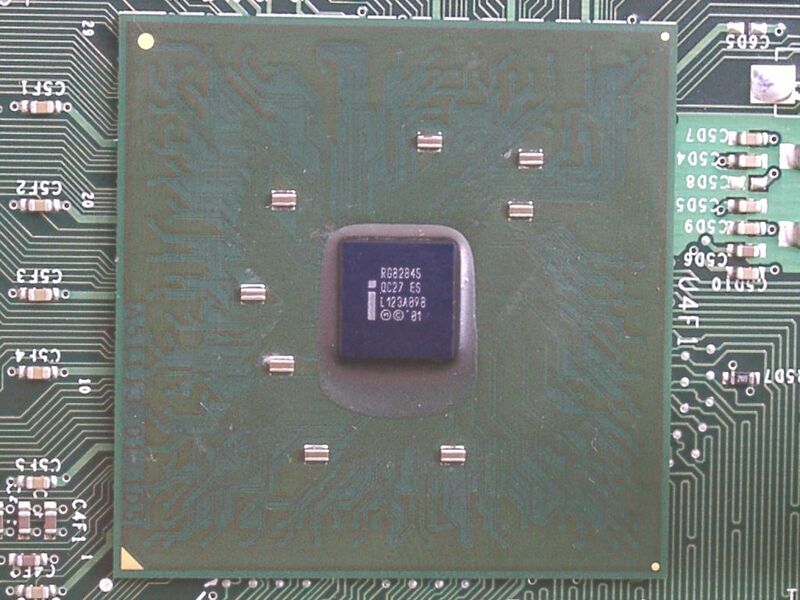 The rumor has it that the Pentium 4 1.4 GHz will soon be available at less than $100. But the real winner in such situation is a user. So, today we are going to compare the performance levels of different systems which either are the most efficient in their class or their efficiency is still unknown. The boards produced by Supermicro for high-efficient workstations and servers are highly reliable but not always highly productive. The large box of an ordinary design has a lot of accessories: ATA66/100, FDD cables, an installation manual and a CD with different programs. The most interesting thing we have found in the box is a bracket with an additional USB port for the rear computer panel. 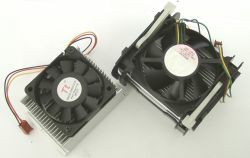 Besides, there is a cooler from Foxconn. 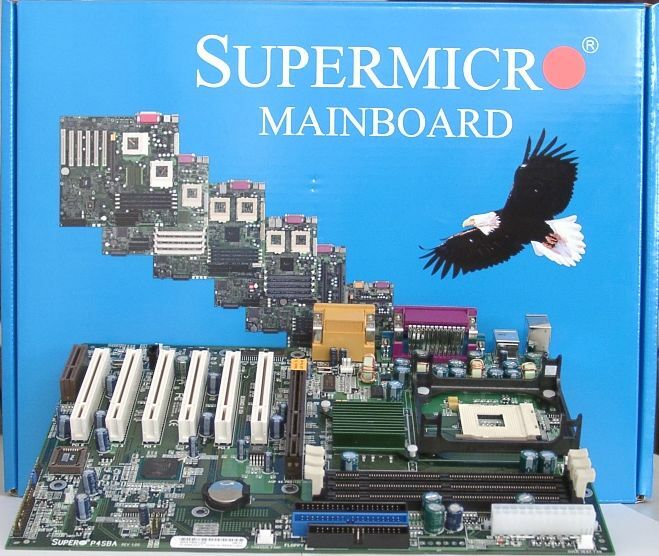 The CD contains drivers for different versions of Supermicro boards based on i8xx chipsets from Intel, their descriptions in .pdf, Adobe Acrobat Reader 5.0, Intel LANDesk Client Manager 6 (LDCM) (for computer monitoring and remote control) and DirectX 8.0. The set of functions is not abundant, but it is not scanty either. The board is designed in the USA according to the label on the board, and the assemblage is of high quality. 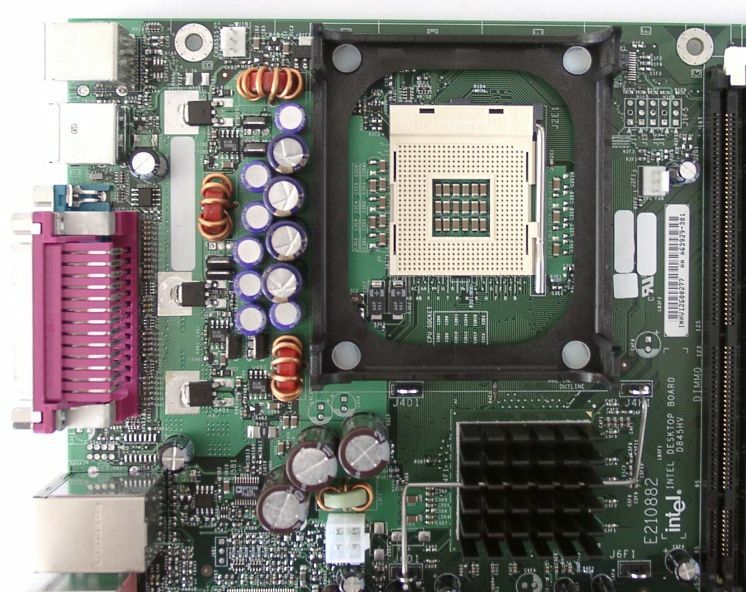 The only drawback is that CD-in connectors are placed in front of PCI slots and this may make an access to them difficult. The ATX power supply connector has 24 pins against usual 20. But you may use a usual power supply unit - it should be, however, rather powerful. The north bridge (MCH) is equipped with a low-profile heatsink. And it really makes no sense to place giants on a chip without an integrated video adapter. 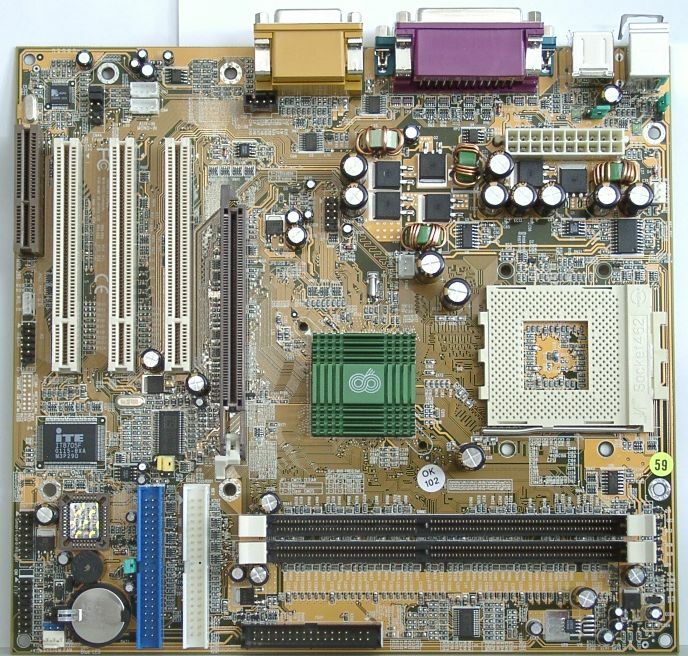 The board has only 3 switches: to clear CMOS, enable/disable an integrated audio codec, permit/forbid a computer start-up from PS/2 devices. All configuration settings are hidden in the BIOS. 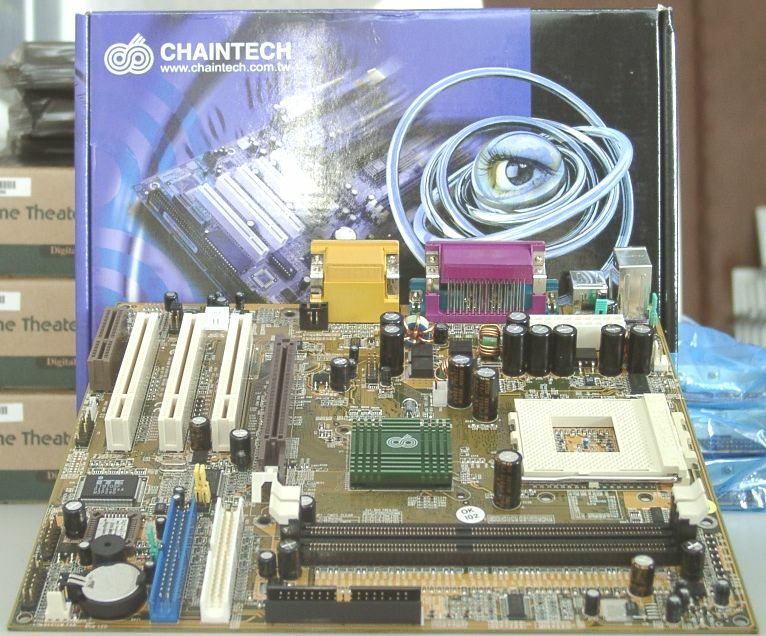 Well, this high-quality board will probably show not the best speed but the stability will be outstanding. EPoX is well known for the high quality of its products proved by flawless operation of its mainboards and fine functional possibilities. In the blue box you can find a user manual, 80- and 40-conductor cables for IDE devices, an FDD cable, a bracket with two additional USB ports for the rear computer panel and a CD with the required software and other programs (PCCillin 2000 from Trend Micro Inc., Symantec Norton Ghost 6.03 for operation with hard discs and Adobe Acrobat Reader). 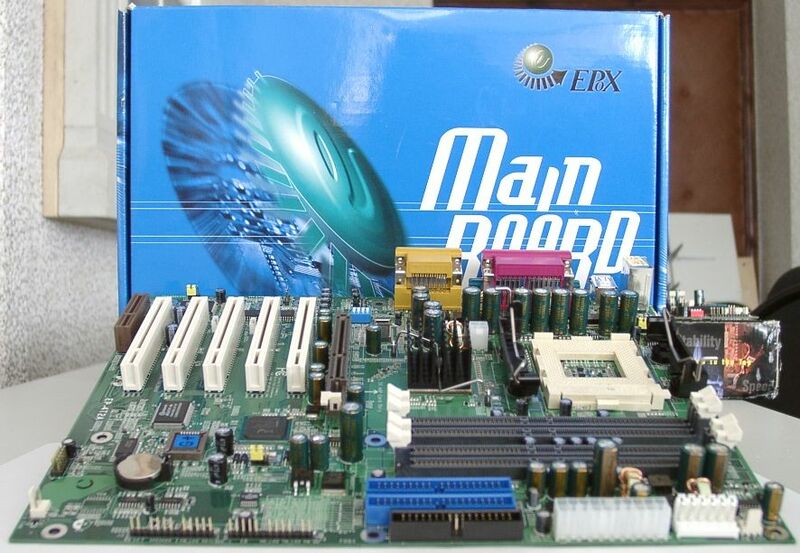 Besides, there are some utilties: Boostek (for overclocking a processor from the Windows) and system monitoring utilties from EPoX, VIA and Winbond. Unfortunately, the board lacks for an indicator of POST codes. Among the peculiarities you may notice a sound chip from C-Media and a clamp on the AGP slot. 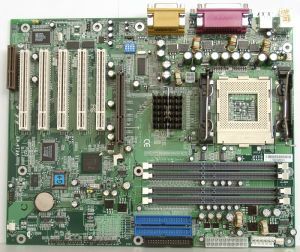 The CD-in and AUX-in are located in front of PCI and AGP slots - it is not the best place for them. The core feed circuits contain 12 LowESR capacitors - 8 of 2200 uF and 4 of 1500 uF. There are also several switches; the most interesting among them allows setting the base CPU frequency - 100, 103, 105, 108, 110, 115, 118, 120, 122, 125 and 133. The BIOS Setup, however, lacks for this function. The BIOS based on the v6.00 from AWARD offers a heap of settings - for memory, for AGP bus etc. The processor voltage can be changed in 0.025V steps, the AGP bus voltage - in 0.1V steps and the memory one - in 0.1V steps as well. 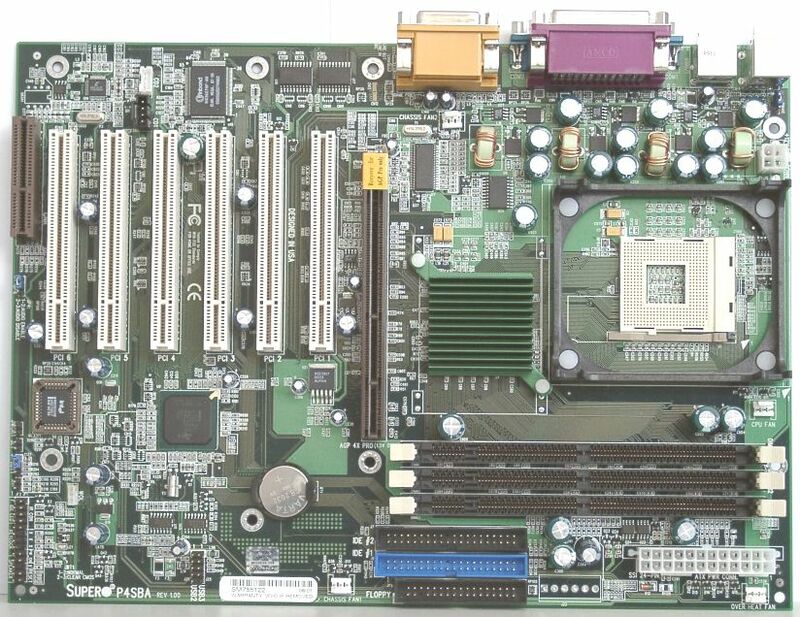 This board will perfectly suit both a high-efficient computer and a reliable server. We managed to get this pre-production sample without either a box or accessories. 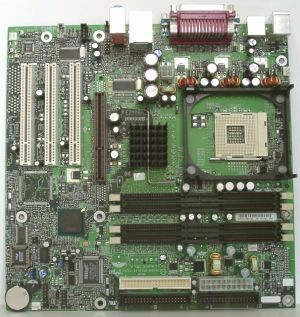 The board is rather ordinary and is likely meant for corporate customers. 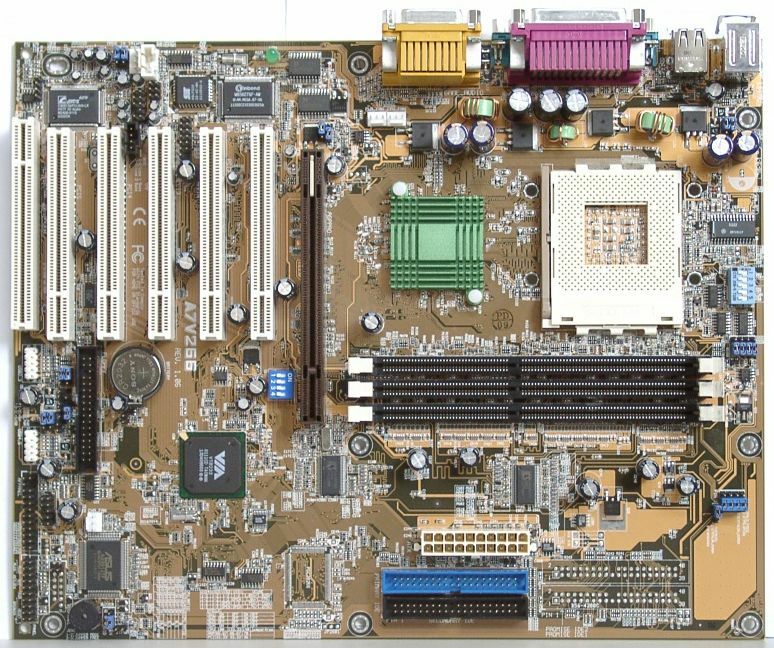 The layout is quite good; the only thing that disappoints is that auido-ins can be difficult to reach because of PCI cards located above them. The assemblage quality is, as usual, high. There are several unsoldered elements. 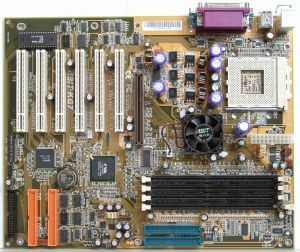 The space for a CNR slot, for example, is left on the left from the third PCI connector. One of the jumpers will help you enter the BIOS configuration menu where you can change a CPU multiplier, remove passwords etc. The BIOS is based on the Phoenix BIOS and has an interface very similar to the Medallion from AWARD. Among the most interesting features is manual distribution of interrupts among PCI slots; you can also enable "Intel Rapid BIOS Boot" technology to pass the POST procedure faster. The board is not very fast but its stability is fine. This board was already described in this review. Apart from the red color of the PCB this reference board looks usual - 3 PCIs, 1 AGP, 2 DDR DIMMs. 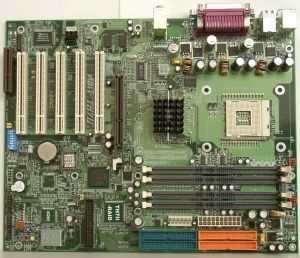 The board has a connector for a "big" Pentium 4 (Socket 423). The BIOS settings are ordinary and it makes no sense to list them. This is a typical reference board, i.e. 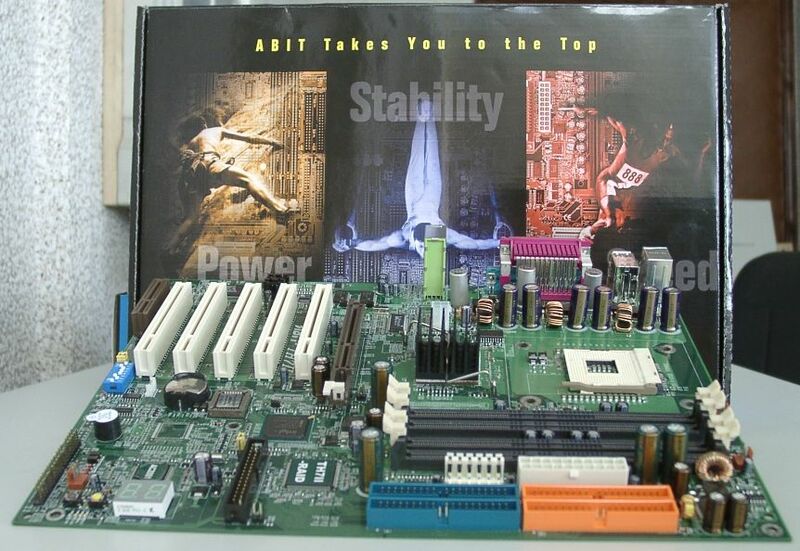 a product which is to show efficiency and stability of the chipset. Such board must pass all, even very tough, tests, while the performance may be just average. Asus released a board on the KT266 after all other companies had already done it. Maybe, it just wanted the board not to be raw. Although this is a pre-production sample, the red box contains the documentation, ATA100 and FDD cables and a CD-R disc (drivers, Adobe Acrobat Reader 4.05, PC-Cillin2000 v. 7.0 from Trend Micro, Power Player SE 5.0, PowerDVD Trial 3.0, VideoLive Mail 4.0 from CyberLink, 3Deep for adjusting color balance in games, and ASUS programs - screensaver, ASUS Update and ASUS PCProbe (system monitoring utility). Since it is the first board of the family, there are an unsoldered chip and connectors. There must be an IDE RAID controller from Promise with ATA100 connectors. Besides, the board is equipped with a sound chip from C-Media featuring 6-channel sound output. But a bracket for the rear panel is absent; Line-In and Mic-In connectors thus become outputs of central and rear channels with the help of drivers. The only drawback is location of an FDD connector: it is placed behind 4 and 5 PCI slots, thus making the cable stretching along the whole case. The board has 4 3300uF and 3 1500uF capacitors. Besides, there are SMARTCARD and AFPANEL connectors (the latter is meant for connecting ASUS iPanel). Among a great deal of jumpers the most interesting are 4 units of switches: for setting a base processor frequency, a multiplier and Vcore. The fourth will help you choose a processor type - Athlon, Duron or Athlon 4 (Palomino). The most of settings are hidden in the BIOS Setup. The BIOS is based on the v. Medallion 6.00 from Award. It offers a great variety of modes for memory, AGP and PCI buses; you may manually distribute interrupts among PCI slots etc. With the JumperFree technology you can change many characteristics of the system from the BIOS Setup in the version of Asustek. There are such possibilities as a choice of Vcore (1.525-1.85V, 0.025V step), a choice of a multiplier (x5-x13), of a FSB frequency (100-227MHz(!) in 1 MHz steps). 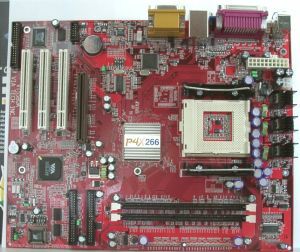 The board based on the AMD-760 chipset is presently one of the leaders among such boards. With the board you get 2 ATA66/100 and one FDD cables, a bracket with two additional USB ports for the rear computer panel, a CD with software, a diskette with drivers for IDE RAID and a user's manual with a lot of ads of multimedia products from this company. The CD contains WinDVD player, Hardware Doctor, Adobe Acrobat Reader and a set of programs from Buzzsoft - SoftCard Manager, SoftCopier, SoftPostCard, SoftBulkEmail. Besides, there is a utility for a low-level formatting of hard discs from AWARD. 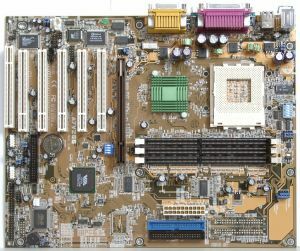 The layout of the board is not the best: IDE RAID and FDD connectors are placed right behind the PCI slots (it prevents installation of long cards into these slots and worsens air circulation). The integrated sound controller is absent, but there are IDE RAID on the HPT370A chip. So, we have two more ATA100 channels and can build the RAID of 0, 1, 0+1 levels. The north bridge is equipped with a heatsink and a fan. 6 4700 uF capacitors and 2 2200 uF ones are also meant to make the board more stable. The switch is only one - for clearing the CMOS contents. The BIOS is based on v6.00 from AWARD. The "SoftMenu III" item will help you change a FSB frequency from 100 to 200 MHz in 1 MHz steps, set the correlation of FSB, SDRAM and PCI frequencies - 4:4:1 or 3:3:1, change voltages of the core, chipset and memory. The enormous heap of settings for memory, AGP bus, chipset will certainly please you. Besides, interrupts can be manually distributed among PCI slots. Although the board is a pre-production sample, it performs quite well. In the box one can find ATA66/100 and FDD cables, a scanned sheet of paper with functions of switches and positions of different connectors and a CD-R disc with a good installer instead of just a set of drivers. The site of the company says that the board will ship together with a "Value Pack 2000" disc with freeware programs. This little board has a typical set of components. Apart from an integrated sound controller with a connector on a front panel with audio-outs there is a smart-card reader connector. In all other respects it is a usual board. It is equipped with 11 2200 uF capacitors and a small set of switches. One is used to set a frequency of the CPU or memory - 100/100, 100/133 and 133/133 MHz, another allows us to turn on the computer with a PS/2 mouse or keyboard, and the third will help us to clear the CMOS contents. The BIOS is based on v6.00 from AWARD and has a lot of settings: you may adjust memory settings, improve the performance of the AGP bus, manually distribute interrupts among PCI slots. As far as processor overclocking is concerned, there is nothing you can do about it. 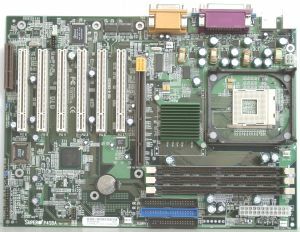 Despite its disadvantages, the board will work excellently in a high-efficient home computer. 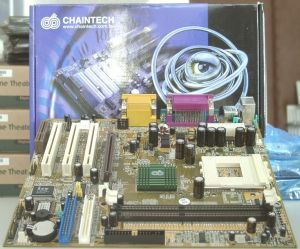 The company was a pioneer in the processor overclocking field; the developers supplied their board with a good tools for this purpose. And the today's board is not an exception. Inside the dark box we have found a user's guide, ATA66/100 and FDD cables, a bracket with a Game-port for the rear computer panel, another bracket for the rear panel, 2 C-RIMM modules, an additional thermistor and a CD with software. The CD contains WinDVD player, Hardware Doctor for system monitoring, Adobe Acrobat Reader and programs from Buzzsoft - SoftCardManager, SoftCopier, SoftPostCard, SoftBulkEmail and a utility from Award for a low-level formatting of hard discs. The board is rather convenient. The only minor drawback is position of audio-ins. 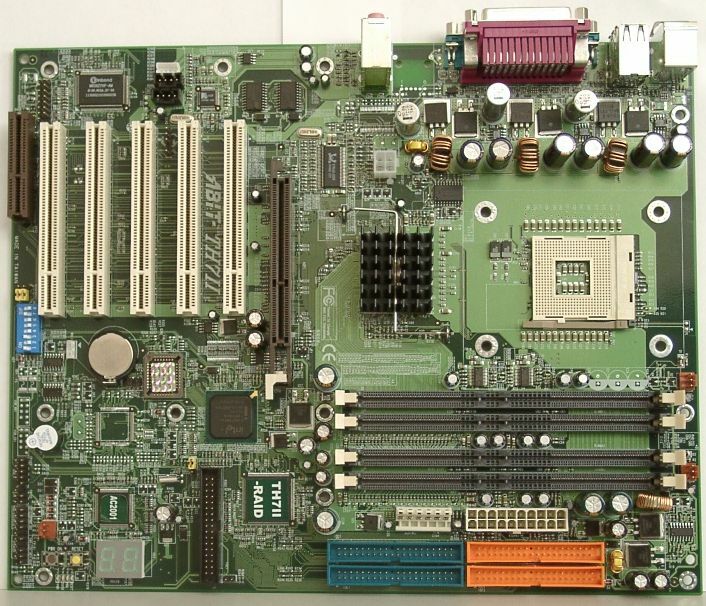 This board is the first to carry the "Abit Engineered" technology. Thus, the board has two 7-segment LEDs to control the loading process, Power and Reset buttons on the board and overclocking stripes on the back side of the board. Next to the buttons there are 4 LEDs: power on the board, 5V voltage, hard disc status and system rebooting. Stability is ensured by 5 4700 uF and 10 2200 uF capacitors. On the board you may notice unsoldered chips of a network and FireWire adapters, that is why the board goes with a non-standard bracket for the rear panel and with a bracket carrying a game-port. The IDE RAID is a rather good and cheap way to raise the performance of a disc subsystem. Several switches will help you enable/disable SoftMenu function and clear the CMOS. The BIOS is based on v6.00PG from AWARD and traditionally carries the SoftMenu technology for processor overclocking. Here you can change a memory frequency (300 or 400 MHz), adjust the FSB speed in 1 MHz steps (from 90 to 156 MHz), change a CPU multiplier and Vcore. Besides, you may improve operation of the AGP bus and manually distribute interrupts among PCI slots. 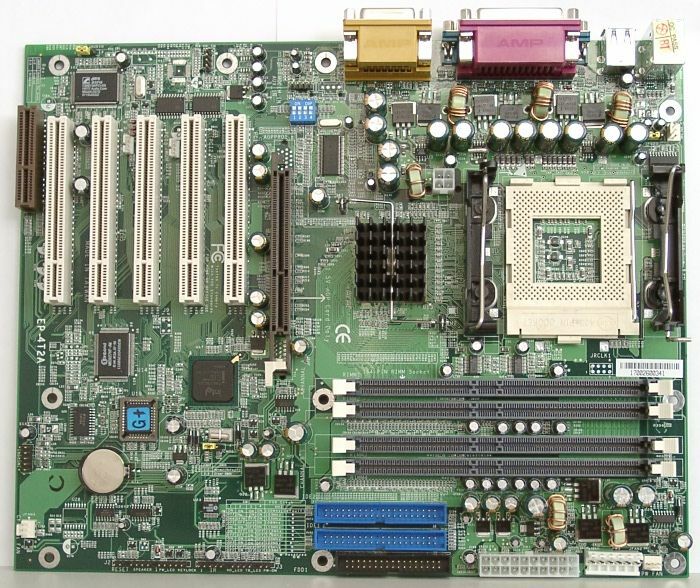 Other functions are standard for the majority of mainboards. 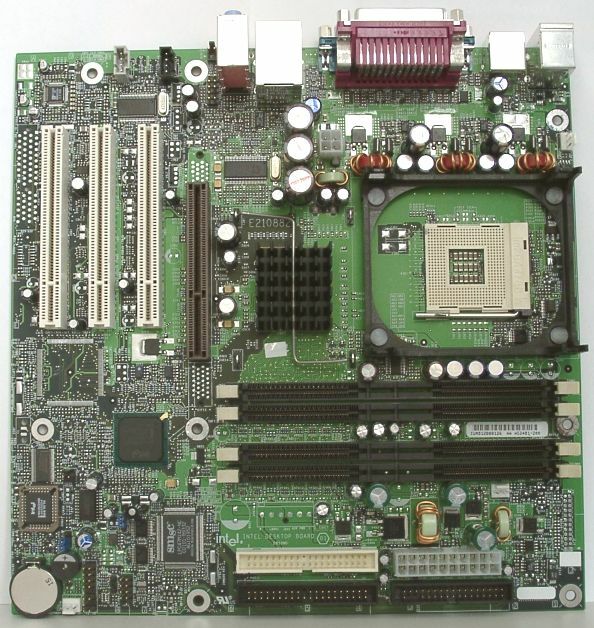 The board works excellently not only at the rated frequencies, but also at a bit higher speed. Now it is high time to turn to the testing of the boards' performance in popular programs. In some tests you will see also the Pentium 4 2.2 GHz. But its results mustn't be taken as official characteristics of yet unreleased Pentium 4 2.2 GHz - the overclocking was made by lifting the FSB frequency. Besides, the overclocked processor failed in some tests, and the respective columns in the diagrams are unfilled. In the diagrams you will see only the test results at a low-detail level for Cars, Dragothic, and Lobby tests, as well as the general score given by the 3DMark 2001. The results of the tests at a high-detail level and for the Nature game do not suit for comparison of the performance of the chipsets and processors. The tests with a high-detail level demonstrate the same picture only less contrast, and the Nature doesn't react on change of the CPU frequency or replacement of the chipset - the video system performance is likely to be the most important here. Further we will also omit such subtests which give identical results for all tested systems. The highest performance in the 3DMark 2001 test is shown by the i850 + Pentium 4 2 GHz systems. 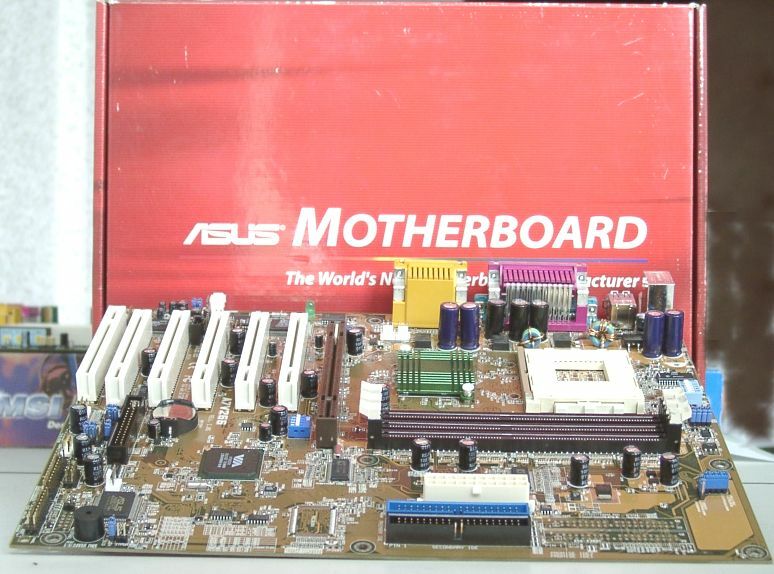 They are followed by the ASUS A7V266 (VIA KT266) + Athlon 1.4 GHz. The VIA P4X266 goes right behind the i850, while the i845 goes the last. The results of the overclocked Pentium 4 2.2 GHz give an idea about the further scalability of the systems based on this processor - well, this parameter is rather good. And I assume that the Pentium 4 performance will grow with the increase of the frequency of standard models. The diagram with fps in the game tests shows an interesting picture: while in the Cars and in the Lobby the overall distribution of the performance results of the CPUs and chipsets corresponds to the diagram with the general score (3DMarks), the results of the P4 based systems in the Dragothic are almost the same! The Dragothic seems to be independent from the performance of the processor and the memory subsystem, but its results depend on the support of some instructions by this CPU. Note that usual Athlons do not support either SSE or SSE2. The Pentium 4 based systems, except the i845, are unquestioned leaders here. Why not the i845? I think that to gain the leadership the processor must be coupled with the adequate memory subsystem. In this test the fastest system on the Athlon performs equally to the Pentium 4 2 GHz, but together with the VIA P4X266 + PC2100 DDR SDRAM! In the Content Creation Winstone the Athlon has even won from the standard Pentium 4. The Athlon with its enhanced old architecture suffers less from an unoptimized code with a lot of unpredictable jumps than the P4. 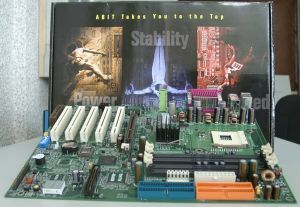 Besides, the Athlon based systems are equipped with the PC2100 DDR. It is likely that the applications included into the Winstone 2001 contain mainly this code. The win of the P4X266 from the i850 can be similar explained: PC2100 DDR has a latency smaller than the Rambus DRAM does, thus ensuring better operating conditions for the Pentium 4. The Brookdale (i845) shows again low results, despite the PC133 SDRAM. Well, the bandwidth also plays an important role. Well, we may say that in the AWadvs and MedMCAD the system on the Athlon 1.4 GHz and Pentium 4 2 GHz perform almost identically. The DDR system on the VIA P4X266 is almost everywhere behind its competitors on the i850, but the gap is insignificant. In the IBM Data Explorer (DX-06) the Pentium 4 shot ahead. The Data Explorer deals mainly with intensive mathematical computations, that is why everything depends on the core frequency. As for the i845, Intel is in conformity with the SPEC tests; the company is not going to create high-end systems on the Brookdale. 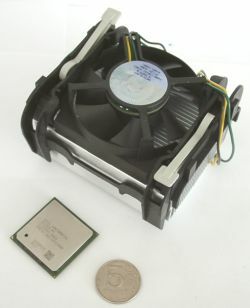 The result of the Pentium 4 2 GHz is a bit higher than that of the Athlon 1.4 GHz at the expense of the much higher frequency. In this test we can see that a 2 GHz P4 is short of speed to beat the Athlon with its core architecture well optimized for the particular task. The results of the i850, VIA P4X266 and i845 based systems prove that the memory subsystem in the 3DStudio MAX is not loaded too much, and the CPU computation power is of the utmost importance. This application uses that chaotic code which makes so much problems for the processor with a long pipeline. That is why in such applications the Pentium 4 will hardly ever beat the Athlon 1.4 GHz. The performance of the most powerful processors from Intel and AMD are almost identical with the latter being a little better. The Brookdale comes again the last. It is the only test where the i845 outscores all the AMD based systems. The Pentium 4 systems on i850 and P4X266 are far ahead. The SYSmark 2001 nearly constantly requires the SSE/SSE2 support. The overclocked Pentium 4 2.2 GHz makes it clear that with time old processor architectures will perform only worse. On the whole, the i850 based systems have better scalability results. But we can't state that the systems VIA P4X266 + Pentium 4 + PC2100 DDR yield significantly to the systems i850 + Pentium 4 + PC800 RDRAM. Well, the Pentium 4 leads in the most of the tests due to the higher frequency and favor of many software developers. With the 0.13-micron process which is coming soon the clock speed of the Pentium 4 will grow much more rapidly. While the performance of a 2 GHz Pentium 4 is excellent, the whole computer with it will cost too much. The only possible platform for the Pentium 4 is the Intel i850 chipset with Rambus DRAM. The cost of RIMM, even taking into account possible price cuts, is still more expensive than both PC133 SDRAM and PC2100 DDR. That is why the purchase of the Pentium 4 based system is doubtful for an economical user. Price aspect - the future? But the situation isn't so bad as you may think. There is a VIA P4X266. Besides, ALi promises something like Pentium 4 + DDR SDRAM (Aladdin-P4), as well as SiS (SiS 645 announced on 9 August 2001). Intel will soon start promoting the Pentium 4 "Nothwood" (Socket 478, 0.13 micron, L2 cache 512 KB) while will feature an attractive price, higher frequencies and twice larger L2 cache. That is why the price/performance ratio may significantly improve for the P4 systems provided that the RDRAM will be replaced and the cost of the CPU will be reduced).